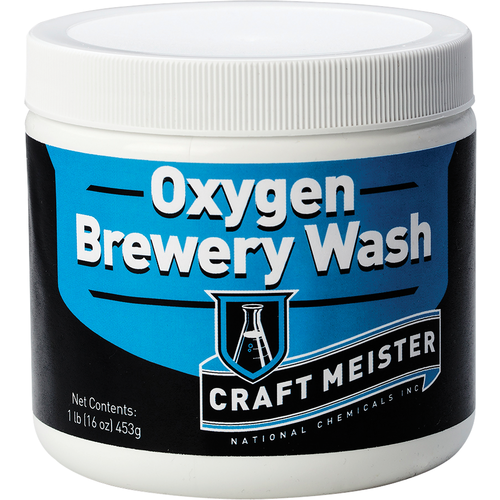 Craft Meister Oxygen Brewery Wash is an oxygen based cleaner that dissolves quickly into solution and gets to work faster than competing products. 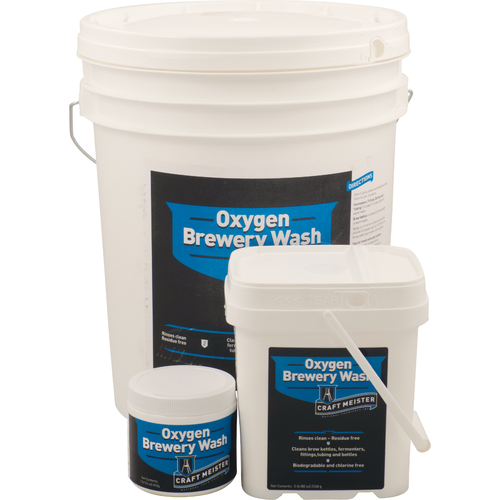 Unlike other oxygen based cleaners, Oxygen Brewery Wash will not leave behind a chalky residue or film on your equipment. 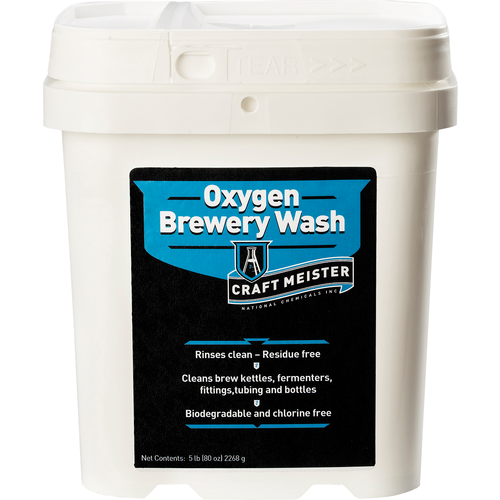 With more active cleaning oxygen than any similar product in the market and a non-caustic alkaline punch, Oxygen Brewery Wash blows away dirt and debris with ease. Works best with hot water (minimum 100 degrees Fahrenheit). For similar performance with cold water see the Craftmeister Alkaline Cleaner. Containers include a scoop for easy measuring. For Fermenters, Fittings, Bottles and Tubing use 1 oz (2 scoops) per gallon of water. For heavily soiled equipment and Brew Kettles use 2 oz (4 scoops) per gallon of water. Spray or immerse surfaces and allow cleaner to loosen soil for 5-20 minutes. Rinse with clean water and sanitize, if required. This stuff is awesome. Cleans mash tun, fermenter, boil kettle. I was running out, I like to alternate with PBW. Heavy residue from deep red Wines left stains that would come out with soap and scrubbing. The brewery wash dissolves the stains with amazing speed.